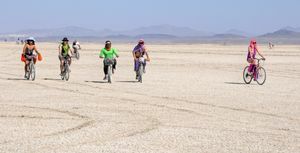 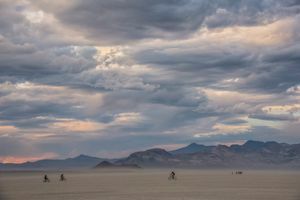 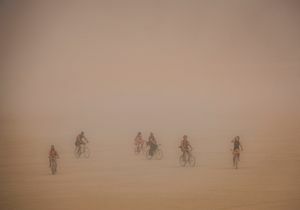 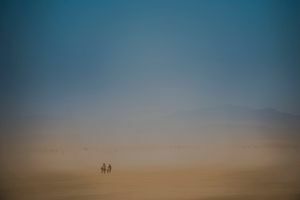 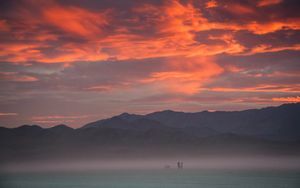 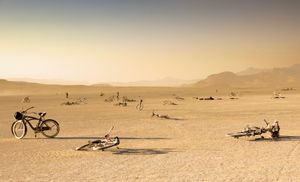 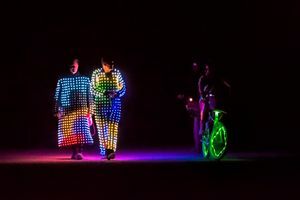 Photos of the Burning Man festival in Nevada typically focus on the elaborate art projects, the cars, the fire, or the wild costumes worn by the participants. 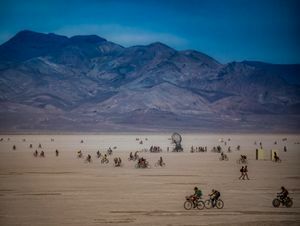 But I tend to be drawn to the edge of the festival, the "deep playa", where the festival butts up against the open desert and mountains. 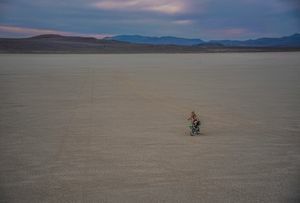 Most of the people out here get here by bike, since it is too far away to walk. 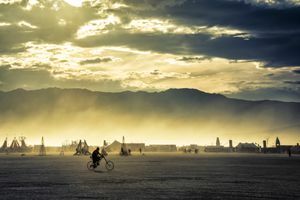 The deep playa has its own drama and beauty.